Happy Friday! 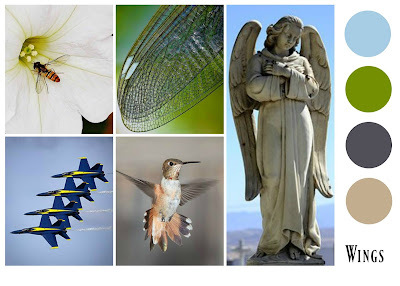 Today is the start of a new challenge at the Victorine Originals blog with the theme of "Wings". Here is what I created for inspiration! 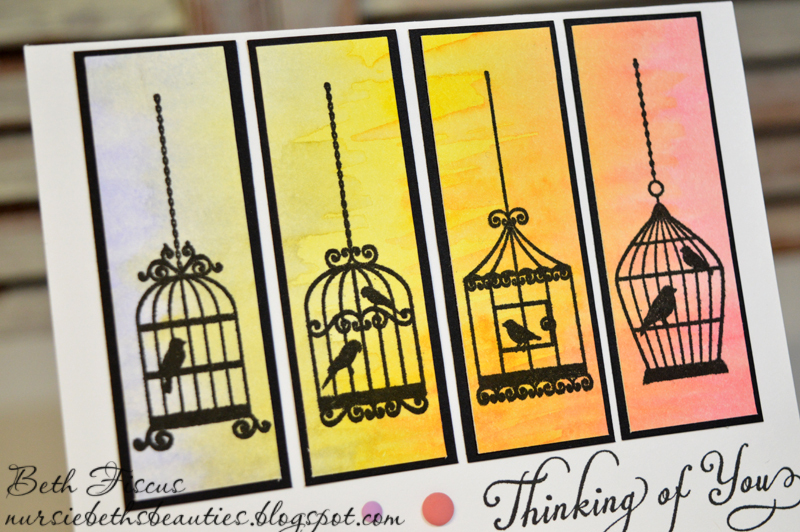 I started by creating the background for the bird cages with Canson XL Watercolor paper and used Distress Inks in Shaded Lilac, Mustard Seed, and Worn Lipstick with my aqua brush to watercolor. 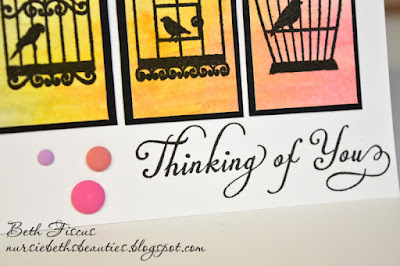 I waited for that to dry then stamped the Victorine Originals Bird Cages stamp using Versafine Onyx Black ink and my stamp tool. I carefully trimmed the stamped image apart and layered it on black cardstock, then adhered it to my card base. The sentiment is from the V.O. 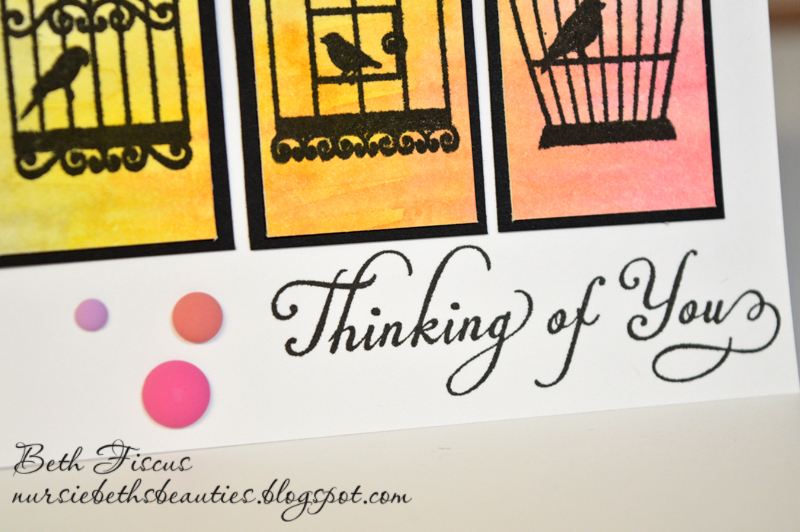 Elegant Sayings stamp set. The enamel dots are from GMD Sunset colors. Very pretty card! 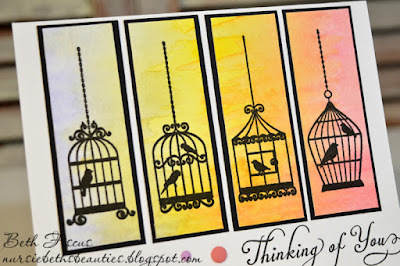 I love how you used the distress inks for the background! Your card is very pretty!! 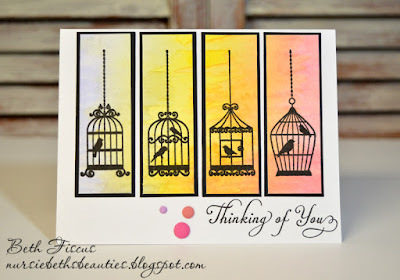 Love the background & bird cages stamp. Your card is soooo PRETTY! 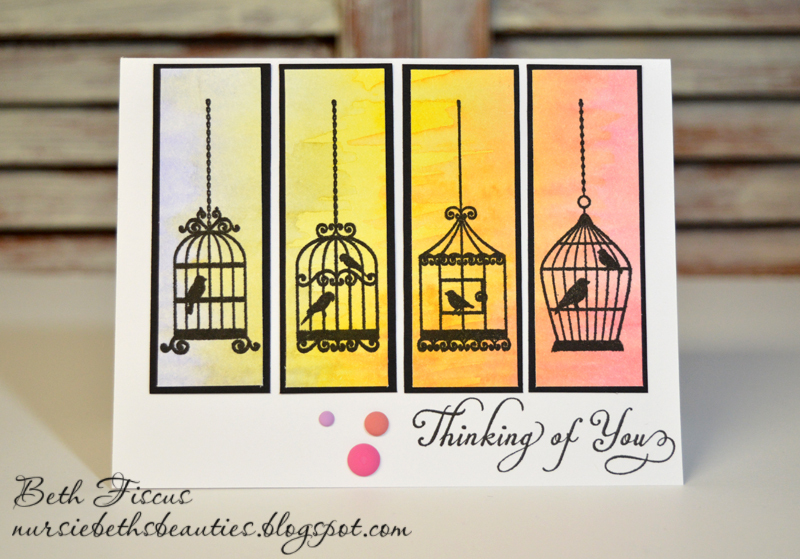 I LOVE the background colors and the bird cages look fantastic-- They really POP with the black layer... Have a great weekend!